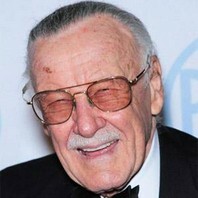 Marvel Comics writer, publisher, editor, and chairman who co-created Spider-Man, the Incredible Hulk, Iron Man, Thor, X-Men, and the Fantastic Four. Also known for his trademark motto "Excelsior!" and for devising the system of comic book production known as the Marvel Method.